One day, a little cricket is born and meets a big cricket who chirps his welcome. 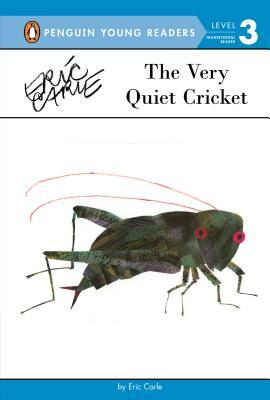 But the little cricket cannot make a sound. The cricket meets many insects, but it isn't until he meets a beautiful female cricket that he can finally chirp "hello!" scraping its huge front legs together. so he rubbed his wings together. Eric Carle (www.eric-carle.com) continues to produce bestselling children's picture books, and he just won the Laura Ingalls Wilder Award for life-time achievement in children's literature. He lives in Tavernier, Florida.